Without the V4 we are weak, without the EU we are weaker. Twenty-five years ago today, the Visegrad Group was formed at a meeting of the President of the Czechoslovak Republic, the President of the Republic of Poland and the Prime Minister of the Republic of Hungary. The formation of the group (which has already four members after the division of Czechoslovakia) was motivated by the desire to eliminate the remnants of the communist bloc in Central-Europe, the desire to overcome historic animosities between the Central European countries, to successfully accomplish social transformation and join in the European integration process. The V4 was an important and progressive step for our countries forward to the enlightened European community. During the last decade the V4 became a strong and credible trademark of cooperation. Within the NATO and the European Union the goals of the V4 has naturally changed. But the Visegrad Group cannot ignore the main motivations and principles it was found upon. Our European Union now faces unprecedented internal and external challenges. The EU „core countries” are ready to transform the Union into a two-speed community, disregarding Central Europe. The 25-year-old V4 has a great responsibility in shaping the near future and its political landscape. ”If the Visegrad Group was not dedicated to common European values, if it was not committed to the deepening of the integration process, then it would not only make a historic mistake, but it would go against the original values of this very community. Only the EU-membership provides security and development for the V4. Opposition Socialist deputy leader and MEP István Újhelyi called on Prime Minister Viktor Orbán on Tuesday to give details of any backroom deal he may have made with British Premier David Cameron. A first “working document of compromises” has been issued which is expected to represent the basis of a potential agreement between the European Union and Britain, Újhelyi said in a statement. “Some points of this document, such as the withdrawal of jobseekers’ allowance, is completely unacceptable from Hungary’s point of view,” he added. At the next European Council meeting, Orbán will have “an obligation to protect, by all possible means, the interests of European employers, including the rights and justifiable interests of several hundreds of thousands of Hungarians”, Újhelyi said. The EU should seek compromises and the consent of its members, he added. 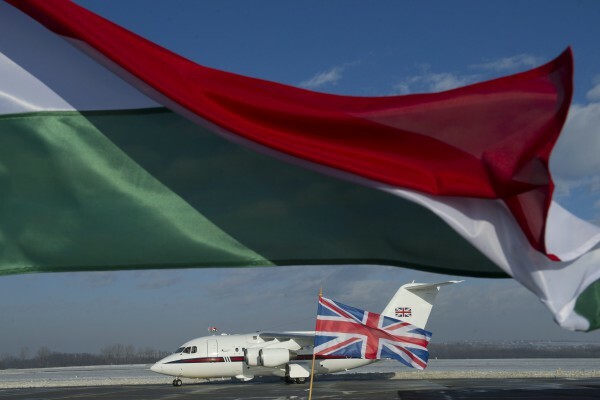 The leftist opposition Democratic Coalition called on Orbán not to support any initiative that may hamper the rights of Hungarians working in Britain or restrict their access to social benefits. MEP Csaba Molnár said his party considers it “unacceptable” that an EU member state threatening to leave the bloc “is trying to force its will” onto the other member states. 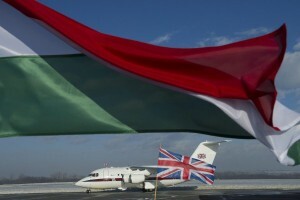 “In Europe this is called blackmail,” Molnár said referring to Britain’s demands of EU reform. The opposition Dialogue for Hungary (PM) party said that should Orbán “fail to take action” after the release of the working document, he would be giving up on representing the interests of Hungarians working in other EU countries and in the process violate his oath of office. Bence Tordai, the party’s spokesman, said Orbán had “betrayed” Hungarians “fleeing from the Fidesz regime” when he “surrendered” to Cameron at their meeting in January. President of the European Council Donald Tusk issued on Tuesday a package of proposals for EU regulatory reforms based on talks with the British government. Member states will be expected to decide on recommendations at an EU summit in the second half of February.